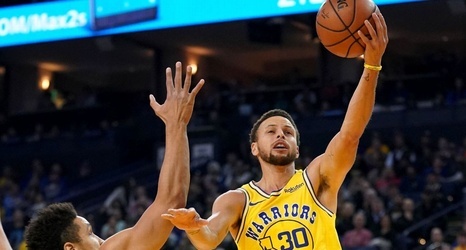 OAKLAND, Calif. -- Golden State Warriors All-Star guard Stephen Curry left Thursday's game in the third quarter and did not return because of a left adductor strain. The injury occurred on a play with 6:50 left in the quarter as Curry tried to contest a move by Bucks guard Eric Bledsoe. Curry stayed in the game for a few more moments but then checked out and headed to the locker room.